This is a gallery of images featuring Bloopers. Super Mario Maker (Under Big Mushroom's effect). A Mecha-Blooper from Mario & Luigi: Superstar Saga. A Blooper Nanny from New Super Mario Bros.
A Glad Blooper from Super Princess Peach. A Bubble Blooper from Mario & Luigi: Bowser's Inside Story. A Dried Blooper from Mario & Luigi: Bowser's Inside Story. 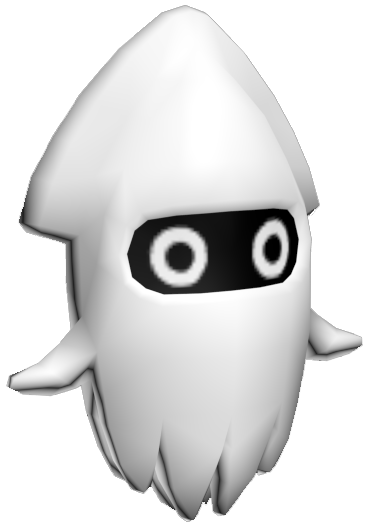 A Blooper Nanny from New Super Mario Bros. Wii. A Poison Blooper from Paper Mario: Sticker Star. A Blooper Nanny from Super Mario Maker (Super Mario Bros. style). A Blooper Baby from Super Mario Maker (Super Mario Bros. style). A Poison Blooper from Paper Mario: Color Splash. A Mecha-Blooper from Mario & Luigi: Superstar Saga + Bowser's Minions. A Bubble Blooper from Mario & Luigi: Bowser's Inside Story + Bowser Jr.'s Journey. A Dried Blooper from Mario & Luigi: Bowser's Inside Story + Bowser Jr.'s Journey. This page was last edited on April 21, 2019, at 15:13.